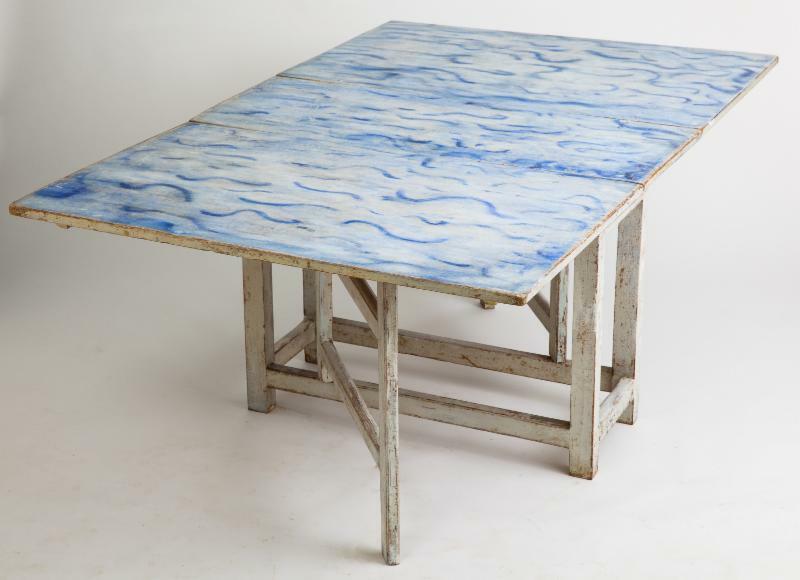 THERE IS NOTHING MORE PLEASING TO THE EYE THAN ORIGINAL PAINT, SLIGHTLY FADED BUT SOMEHOW PERFECT IN ITS IMPERFECTION. 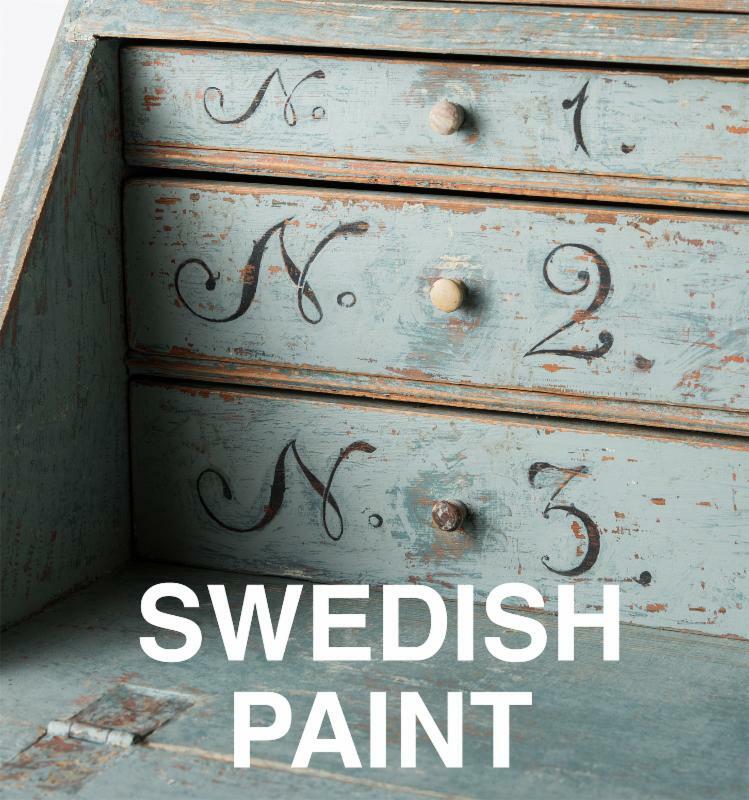 From the master craftsmen who created Swedish clocks, cupboards and tables, to calligraphers whose inspired lettering told stories, Swedish workmanship achieved a high standard of excellence during the 18th and 19th centuries. 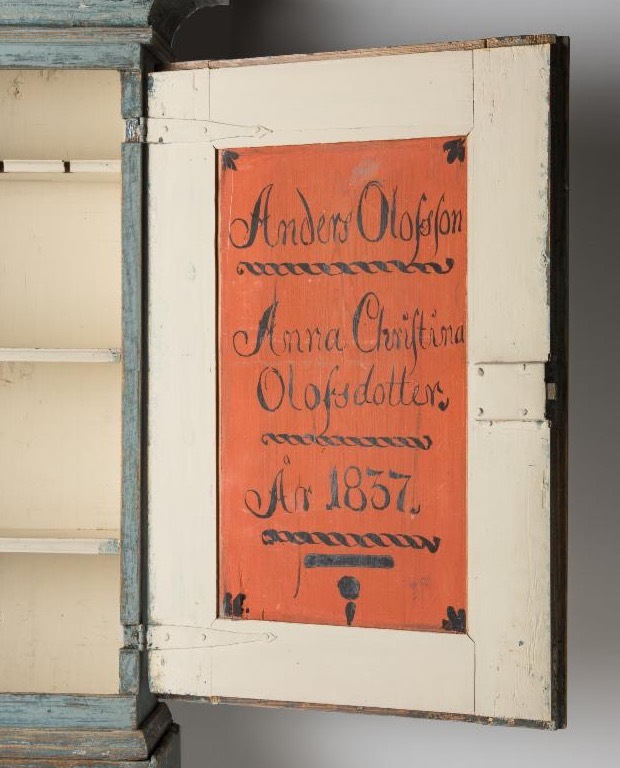 A Rococo cupboard from Bergslagen, an area Northwest of Stockholm, with faux grain painting in blue and coral on the doors that continues around half columns at the sides. A great example of the best elements of the Rococo style, circa 1770. 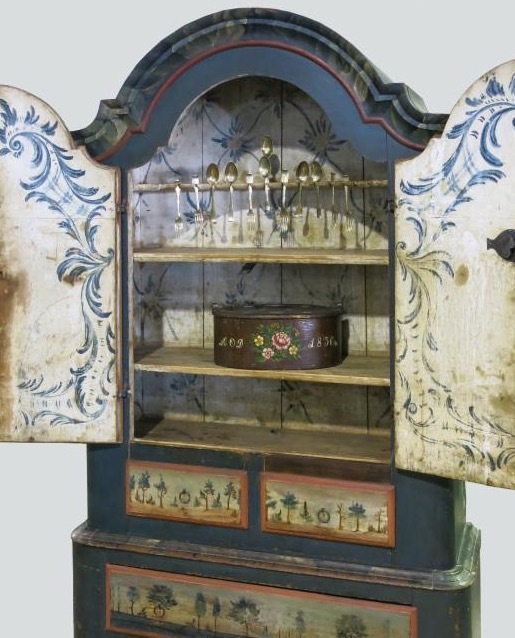 A diminutive country cupboard from Jamtland, a province in Sweden known for it beautiful painted furniture. 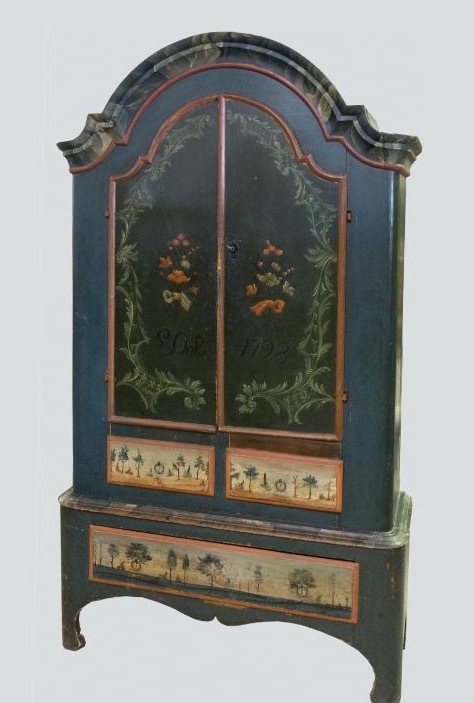 This cupboard with primitive paintings of trees, was probably made as a wedding gift and dates to 1797. 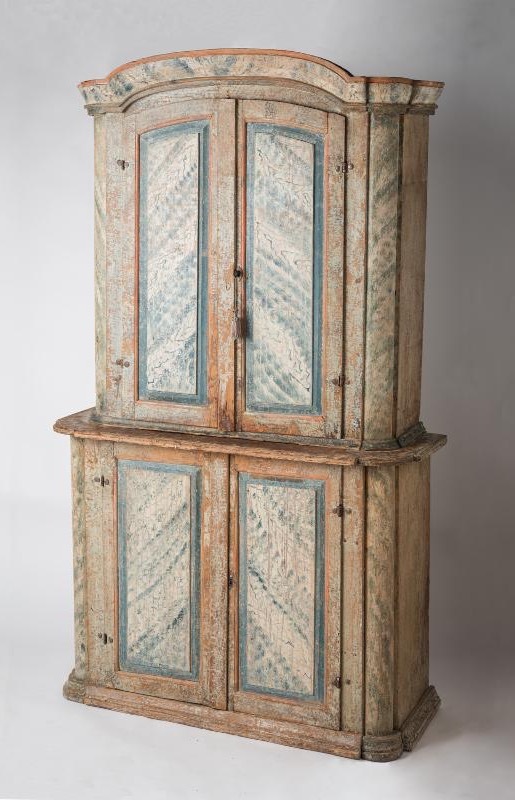 The cupboard opens to equally beautiful painting on the interior with scrolls and feathers in blue and white. 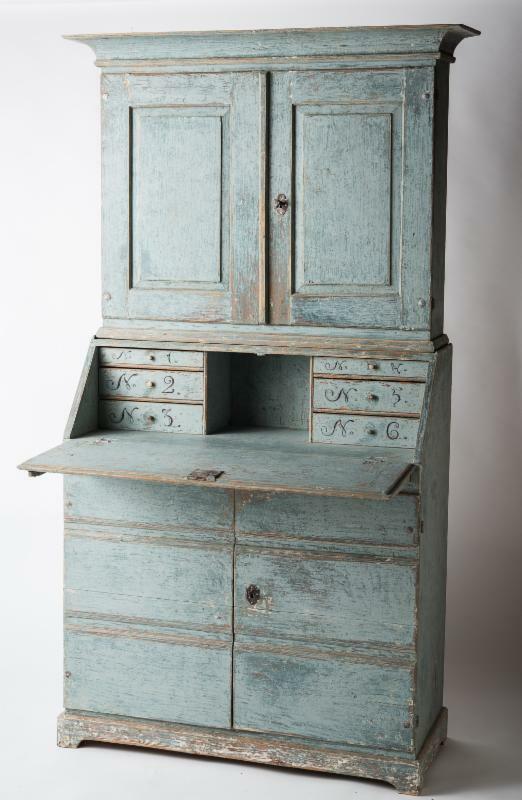 A wonderful Swedish blue, this secretary in original paint with some touchups, has a number of of great details that highlight the work of a talented calligrapher. The interior drawers are numbered one to six, a great way to stay organized in style! The interior door on the right tells us that the cupboard was a wedding gift to a young couple who were married in 1837.